Traffic Industrial Signs provide instruction to truckers. 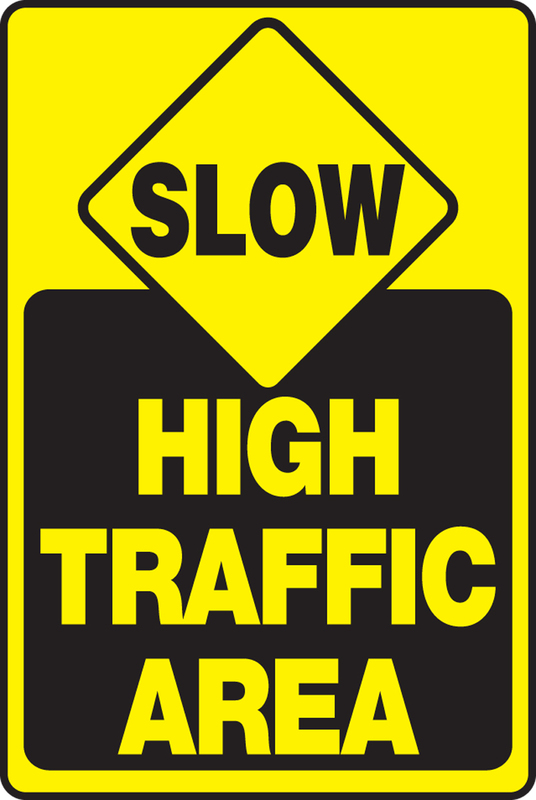 We offer a wide range of traffic signs and labels for industrial settings that help direct trucks and drivers, keep loading areas clear, inform forklift operators, control speeds, designate parking spaces and much more. Proper identification of the alleys, loading docks and parking areas surrounding your facility is an essential part of your commitment to safety and First Aid and Safety Online is working hard to provide you with highly visible industrial traffic signs to keep drivers safe and the flow of traffic efficient in and around your workplace. Caution - Clearance ___ Ft. ___ In. Caution - Maximum Height ___ Ft. ___ In. Clearance ___ Ft. ___ In. Don''t Be Caught Dead Sitting On Your Seat Belt!